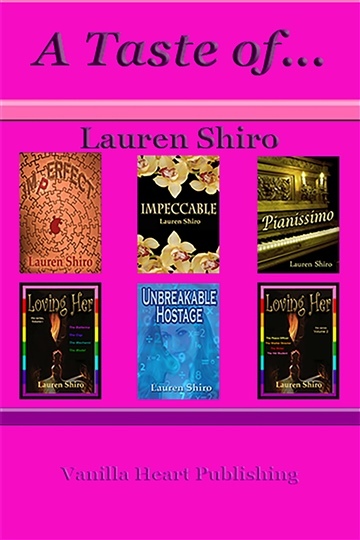 A generous sampling of Lauren Shiro's books! Carol – abandoned - waiting... for what, she couldn’t know. She couldn’t see that there was more life waiting for her. Carol is forced to face the demons of her past as well as begin to face life without Alex. 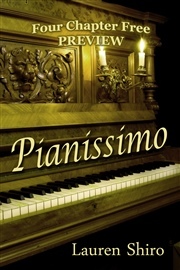 Struggling to make sense of it all, Carol experiences her new life and all of the highs and lows that come with that life. In celebration of her one year wedding anniversary and recent political changes that legalize her marriage, author Lauren E. Harvey (L. E. Harvey) and Vanilla Heart Publishing are excited to announce the re-releases of her books and a brand new series of Loving Her singles with her (legal) married name, Lauren Shiro. Lauren Shiro was published nationally for the first time at age fourteen. 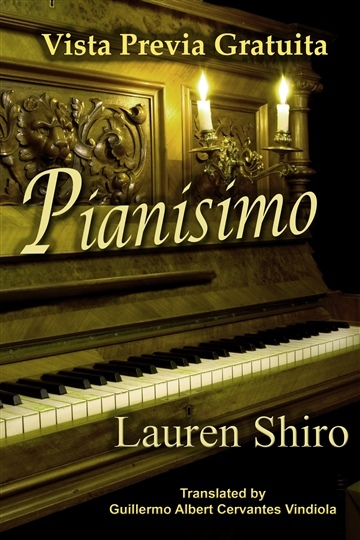 Since then, her work has been published in newspapers, magazines, literary journals, and even textbooks. In 2006, she began writing fiction and she hasn't stopped yet. 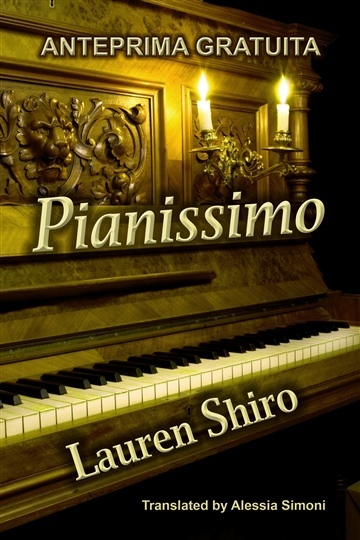 From her set of intertwined short stories inLoving Her, to the powerhouse duo of Imperfect and Impeccable, Lauren has written stories that are sure to touch your heart. 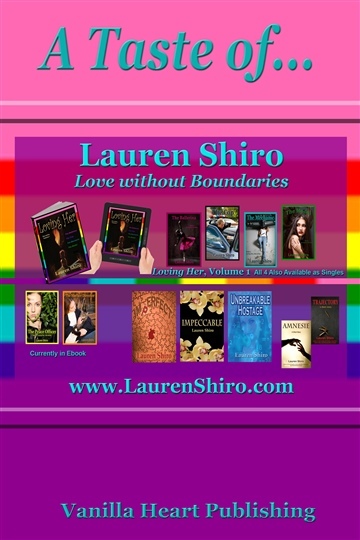 Lauren continues to write stories of love without boundaries. When she's not writing, Lauren works as a licensed veterinary technician. In her spare time, she enjoys everything from wood working to roller derby. She resides in Rochester, New York with her wife and their menagerie of furry and feathered friends.